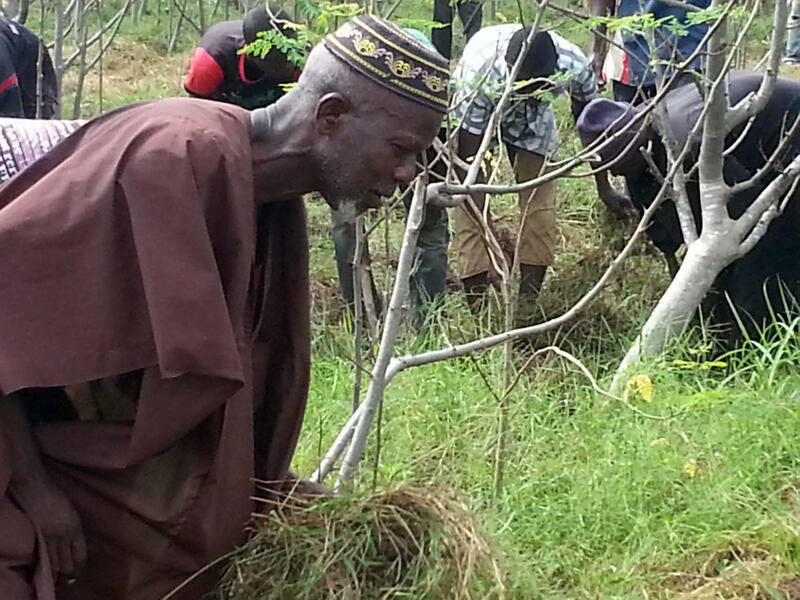 The tractor: a village says Thank You - Projekthilfe Gambia e.V. 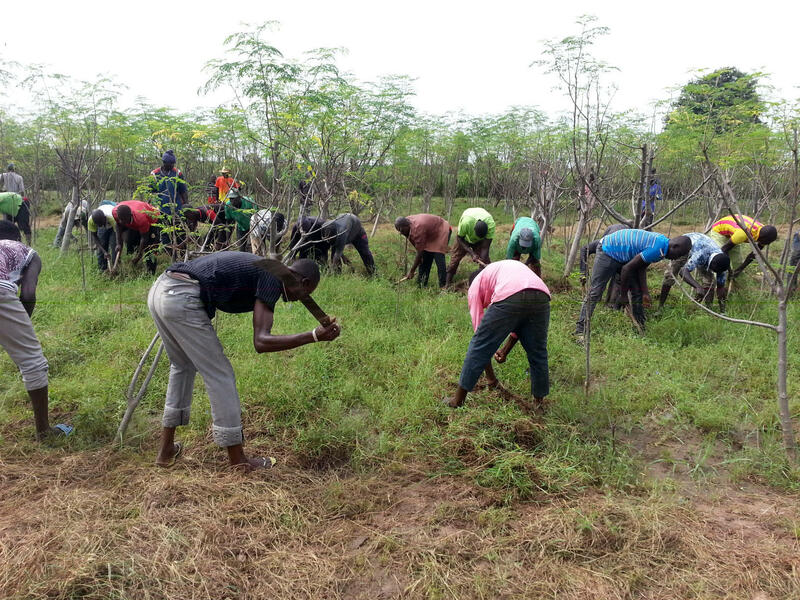 The villagers of Jahaly have – in their very own way – thanked for the tractor, which Project Aid The Gambia is providing to the farmers of the village since the end of September. The second-hand tractor itself was a generous donation of the German charity “Friedensdorf (Peace Village) International” in Oberhausen/Germany. 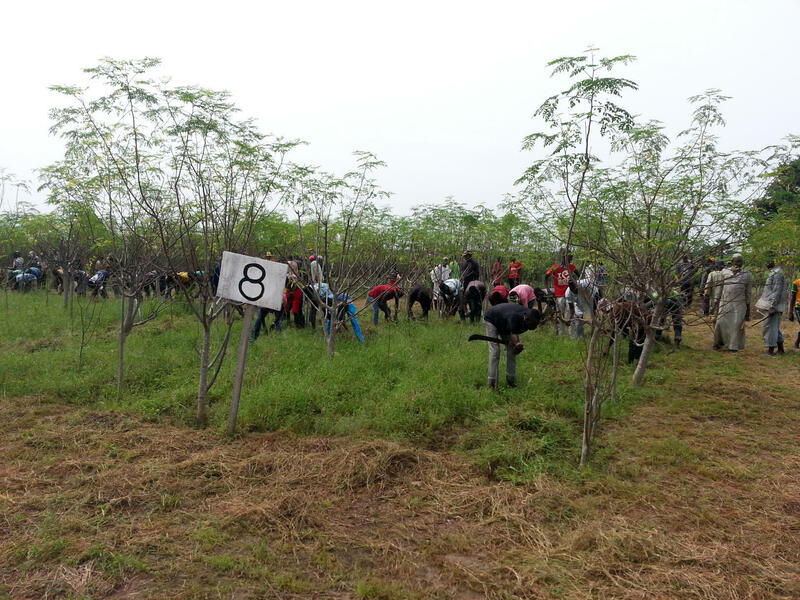 In early October 80 villagers of Jahaly showed up at the Moringa plantation behind Jahaly Health Centre and kindergarten and helped the workers for an entire day whith the weeding of grass and weeds. 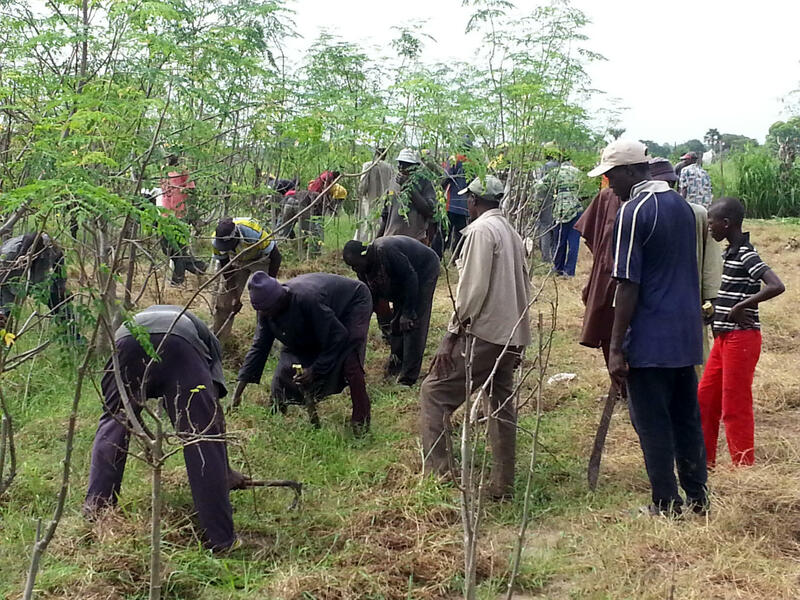 During the last rainy season which seems to be over now, it has rained so much that the five Moringa workers of the plantation can hardly keep up with the weeding of the field of the 10,000 Moringa trees. 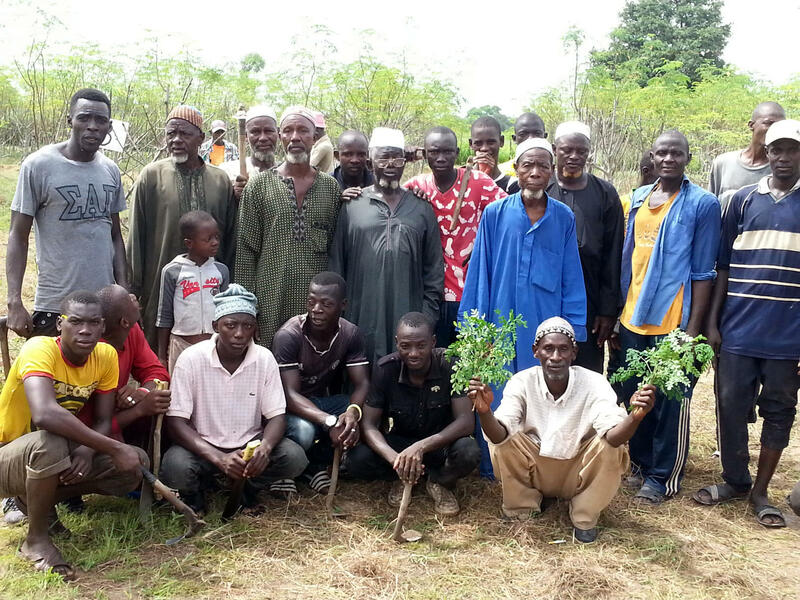 Even the Imam (leader of the Muslim community) of Jahaly took part in the action. 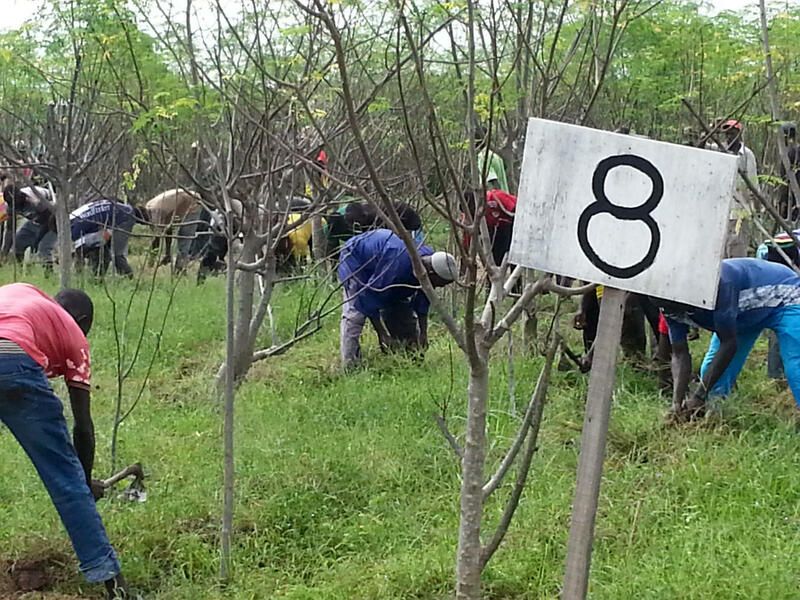 In the evening, half of the plantation was clean. The tractor can be hired by the farmers for work in their fields. 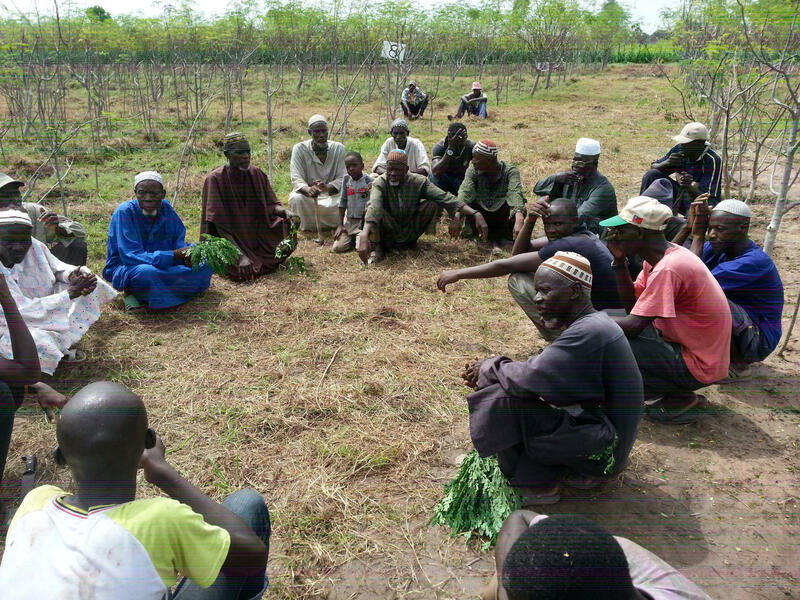 The farmers pay the diesel they use, and Project Aid The Gmbia pays the salary of the driver and takes over the costs of the maintenance of the tractor.